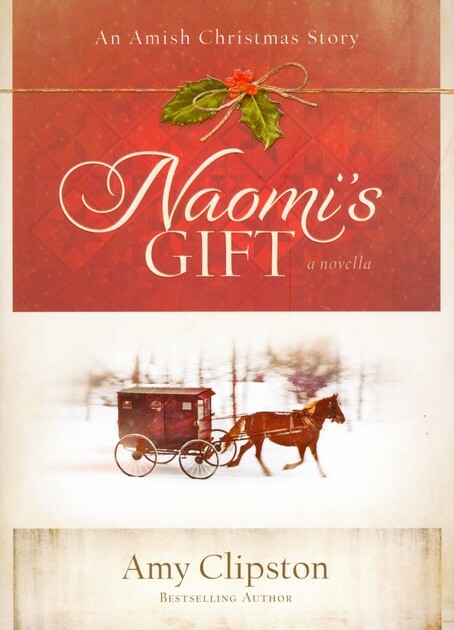 Naomi's Gift re-introduces twenty-four-year-old Naomi King, who has been burned twice by love and has all but given up on marriage and children. As Christmas approaches-a time of family, faith, and hope for many others-Naomi is more certain than ever her life will be spent as an old maid, helping with the family's quilting business and taking care of her eight siblings. Then she meets Caleb, a young widower with a 7-year-old daughter, and her world is once again turned upside-down. It's not the best time for reading a christmas novella, I know, but I just finished this one. And I have to say, I was enchanted. The writting is really good, as I expected, since I liked this author's work in a ya novel I read previously, entitled 'Roadside Assistance'. But on top of that, the story although brief, was very well thought-out, with diverse and very realistic characters. The romance was sweet but deep, both the hero and heroine having to overcome struggles before they could be together. There is a little girl in the story, whom I didn't find at all annoying, as I usually do, and quite cute actually. There is a jealous girl who wants to subotage our heroine, which added spice to the story. And there is the hero's and heroine's persoanl relationships with God, which is what guides them throughout the story. I really enjoyed this beautiful, Amish novella, and although I strongly disagree with the amish way of life, I found some things it could teach me about trusting God's will for my life. WOW!!! thanks sooo much for your comment, Amy :) It means so much to me that you read my post about your book and took the time to comment. I was really blessed while reading it, as well as Roadside... God bless you and keep up the good work!